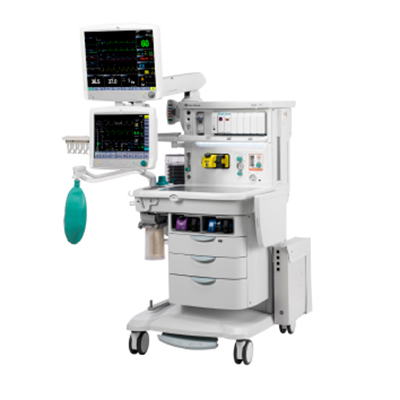 The Aisys CS2 helps you deliver unmatched performance through patient-focused care. 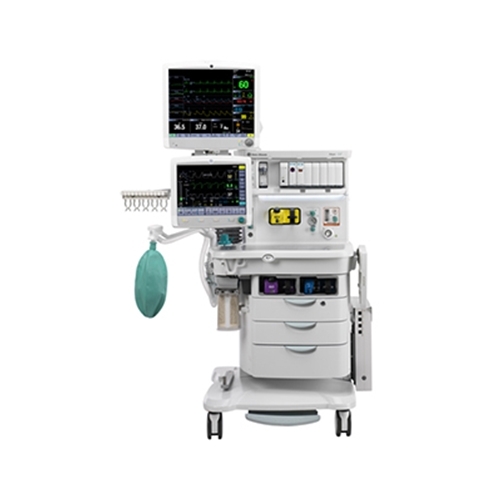 The Aisys CS2 is the most complete anesthesia solution developed, putting patient-focused care at the point of need - at your fingertips. 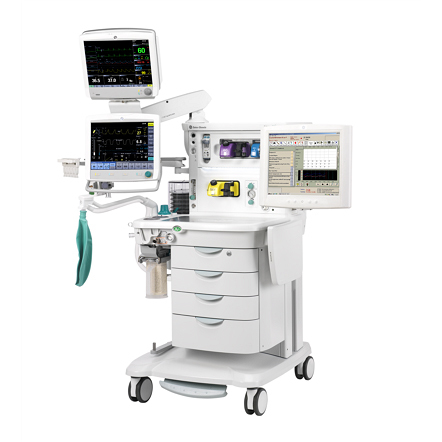 The Aisys Carestation is built on our industry-leading legacy of anesthesia delivery and patient monitoring technology. We have incorporated innovative features to help you provide the personalized care your patients deserve. 15-inch color display with intuitive touchscreen technology. Displays breath-by-breath spirometry: airway pressure flow, volume, compliance, PEEP, and airway resistance. Wide range of ventilation modes offered: VCV, PCV, PSVPro, PCV-VG, SIMV, VCV, SIMV PCV, CPAP+PSV, and SIMV PCV-VG. Digitally controlled ventilator, vaporizer, and gas delivery. Streamlined, user-configurable settings for fast adjustments to agent, oxygen, and fresh gas flow. EcoFlow technology displays agent consumption, helping to reduce wasteful over-delivery anesthetic gases during non-automated low flow. Auto alarm limits with tunneling alarms aid it optimizing alarm management. Robust design available with three or four drawers. Patient display is mounted on a moveable arm with complete rotation for clear viewing in countless positions. User-friendly menus help to reduce set-up time, and could minimize training needs. Illuminated workspace can be adjusted for a variety of care settings. Central brake, metal work surface. Supports horizontal and vertical mounting displays.